Isn’t it great to find someone who is willing to go the distance? Whether it is a sales associate who goes out of their way to help you or a friend who sticks by your side, it is refreshing to find someone who can step up and meet a need. We offer a variety of distance learning programs. Most online schools are built around one curriculum. At IVLA, families can choose from six top of the line programs for grades K – 12. Whether you are looking for Christian, secular, honors, career and technical training – we have it all! Distance learning means flexibility. Because distance programs are accessed online, learning can happen any time and any place the internet is available. This means your student’s education can be shaped around your family’s specific lifestyle. Distance learning is individualized. Whether your student needs extra instruction or is ready to excel, our programs are designed to provide exactly what the student needs. The result of this efficient and effective system is motivated and successful students. 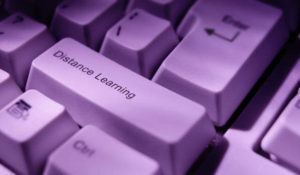 Distance learning fully engages students. Online learning allows for the perfect ratio – one-on-one instruction. With multimedia presentations, interactive platforms, and immediate feedback, students cannot help but be engaged. We find our students take ownership of their education, becoming life-long learners. Our distance learning programs come with “real” teachers. While working at their own pace through the online curriculum, students also interact with certified and highly qualified teachers. Each class has a teacher who tracks student progress and is available to answer questions. In addition, each student has a “mentor” who works closely with the family. Our distance learning is NCAA approved. High school athletes who compete in the NCAA require two things for education: flexibility and a program approved by the NCAA. IVLA offers just that! Our Apex Learning is NCAA approved and ready to assist our talented athletes succeed. Check out our site or chat with an enrollment specialist to find out how IVLA can go the distance for your family!